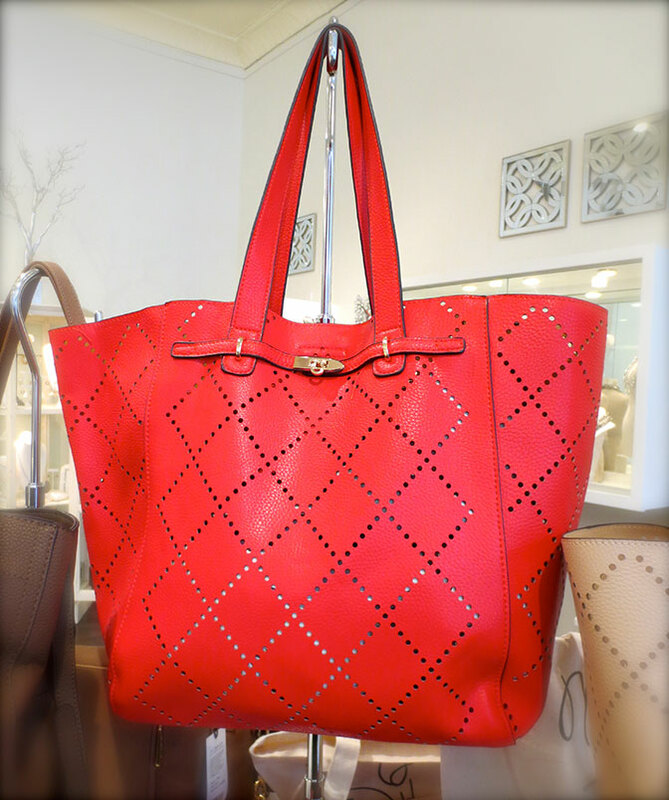 Day 2 of our Valentine red goodies is this gorgeous leather bag with a diamond-shaped piercing pattern and brass accents. Can you believe this beauty is only $98? Love!